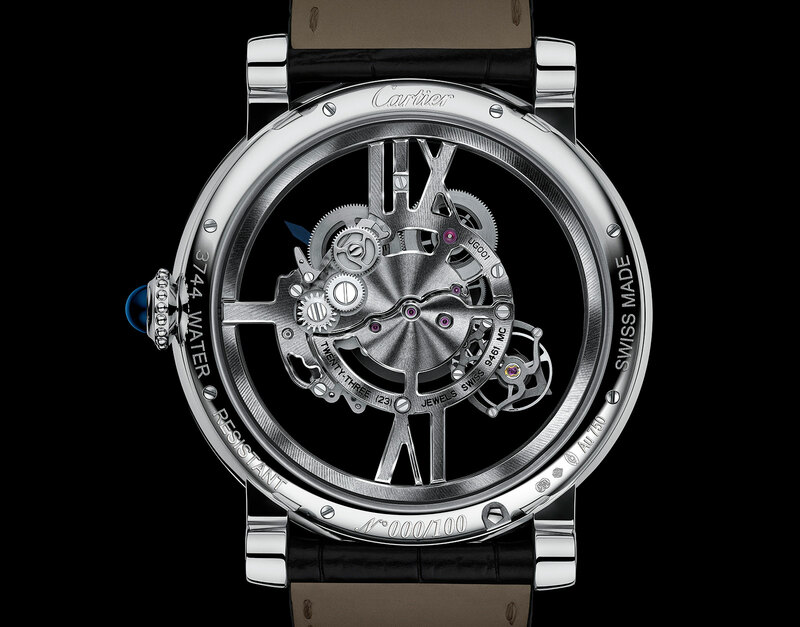 Cartier has made one of its most distinctive tourbillons even more striking by skeletonising the movement, leaving the 9461 MC movement suspended inside the case as the tourbillon cage travels around it once a minute. 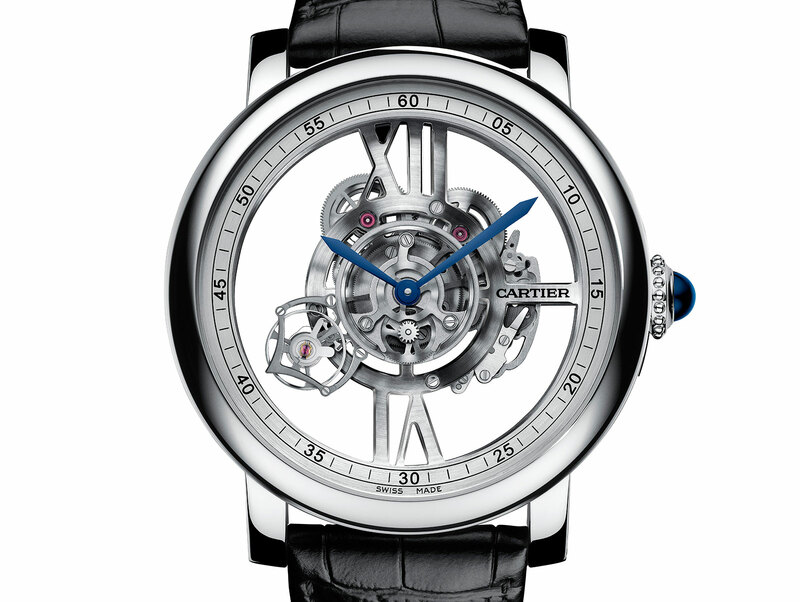 Cartier‘s signature tourbillon is the Astrotourbillon (Cartier picked this watch as the base for its first commercially available concept timepiece), a central carousel tourbillon that goes around the dial one a minute. 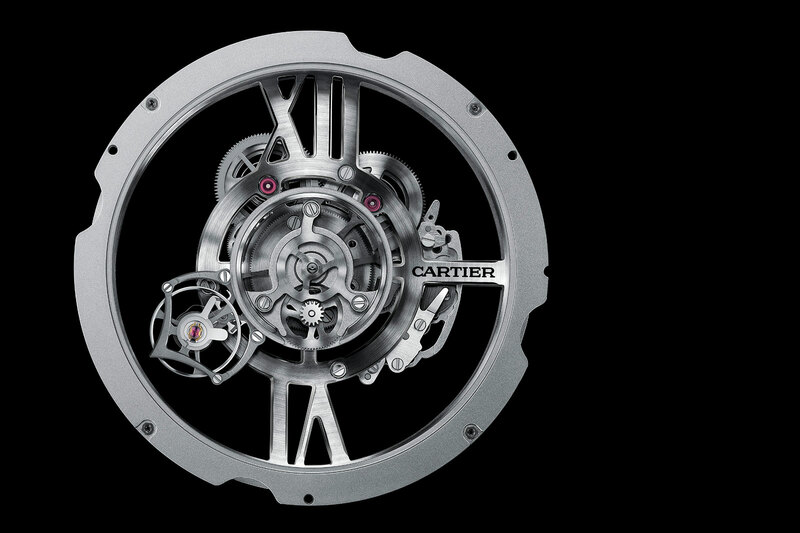 That visual effect has now been amplified in the Rotonde de Cartier Astrotourbillon Skeleton that will be unveiled at SIHH 2015. 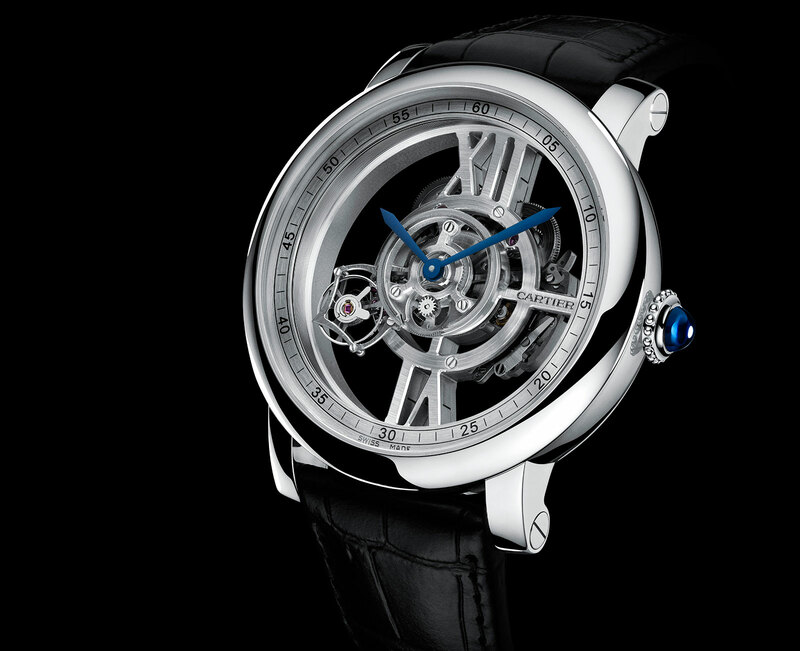 With the tourbillon carriage seemingly gliding around the dial in empty space, past the three slim supports that hold the movement in place, the Rotonde de Cartier Astrotourbillon Skeleton resembles a tiny space station trapped inside a watch case. Leaving volume inside the 47 mm case as empty as possible is the paradoxically does the most for its aesthetics. The base plate of the 9461 MC movement, which is made of German silver, of the movement has been open-worked to the extreme, leaving just two oversized Roman numerals at six and 12, and one more thin bar at three. Together these anchor the movement, while leaving substantially all the space inside the case empty. Intriguingly, the bridges visible from the back of the case, are made of titanium. Though they echo the shape of the German silver main plate in the front, they have a distinctly darker shade due to the natural colour of titanium. 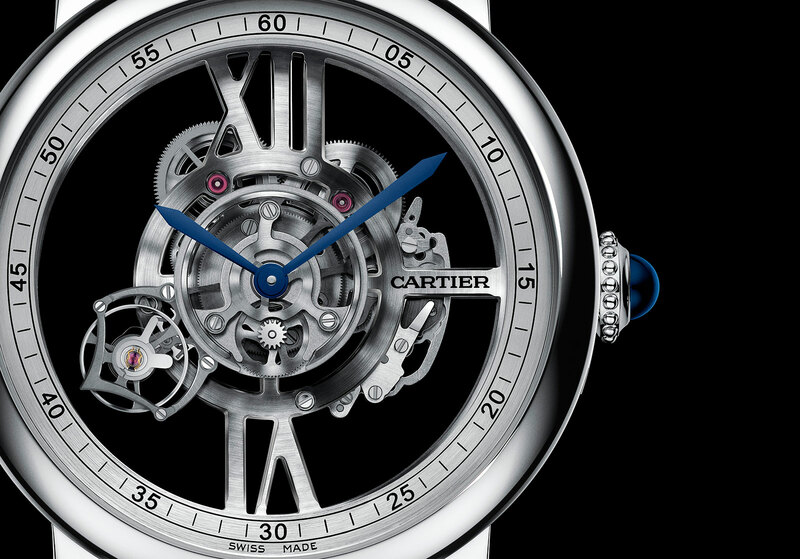 The Rotonde de Cartier Astrotourbillon Skeleton is limited to 100 pieces in white gold, with a retail price of €120,000 before taxes. There will also be 20 pieces in platinum with baguette diamonds on the bezel and case for €420,000, and another five pieces in platinum with a matching bracelet, entirely covered in diamonds, for a mere €1.3 million.